Scroll down! This is a long page. 4/13/19: Trans Iowa's family and Guitar Ted would like to wish all those who are taking part in this coming weekend's Iowa Wind and Rock all the best.Safe travels to and from the event, and a great time. We're especially thinking of the RD's and volunteers at this time and hoping for a safe event for all. 9/12/18: A new event, dubbed the "Iowa Wind And Rock", has been announced and will be run during the same time slot as Trans Iowa used to be run in. Rules and format are similar as well. See THIS POST for my thoughts on this development and for a link to that event's website. 6/25/18: It has come to my attention that artwork for one of the Trans Iowa headers, my artwork, by the way, was used by another artist to produce a work for a TI rider. Please note- ANY REPRODUCTIONS OF MY ART OR ANY IMAGES FOUND HERE USED IN ANY WAY WITHOUT MY EXPRESS PERSONAL CONSENT FOR PERSONAL OR COMMERCIAL USE IS CONSIDERED STEALING. All you have to do, typically, to use stuff found here for most purposes is to ASK ME. I'm actually pretty fair when it comes to stuff like this. 6/20/18: First time Trans Iowa rider, Stefano Tomasello, shares his compelling race report HERE. 5/5/18: Trans Iowa will not happen again. In case you haven't heard or read the news, there will not be a T.I.v15. Read HERE for the reasons why. With my (Guitar Ted's) not being involved in producing this, there cannot be a v15 and there are no plans to "hand over" the event at this time, or in the foreseeable future. Thank you for all the years of support and for the memories! This site will remain live for the near future. Out of 95 starting the event we had 19 finishers. Janna Vavra has the distinction of being the first woman to finish a Trans Iowa (T.I.v7) and the last one that ever will. She also won the Black Mountain Cycles' Grittiest Ride award for the event. Trans Iowa would like to thank it's sponsors: WTB, Black Mountain Cycles, Bar Yak, Pedal Of Littleton, Lederman Bail Bonds, Europa Cycle & Ski, Guitar Ted Productions, Riding Gravel, Wally Kilburg Photography, Jon Duke Photographer, The Grinnell Steakhouse, The Grinnell Chamber of Commerce, Bikes To You/Craig Cooper. This will be the end of Trans Iowa events. The site will stay live for a time, at least. Look for any Trans Iowa related news to appear here in the future. Thanks to Kerkove Design Media for the work on this site! Racers have been known to mentally break down and cry along side of the road. Trans Iowa v8 winner, Eric Brunt is featured in this new post on Cannondale's site. Jason Boucher's 2015 T.I.v11 image gallery is HERE. 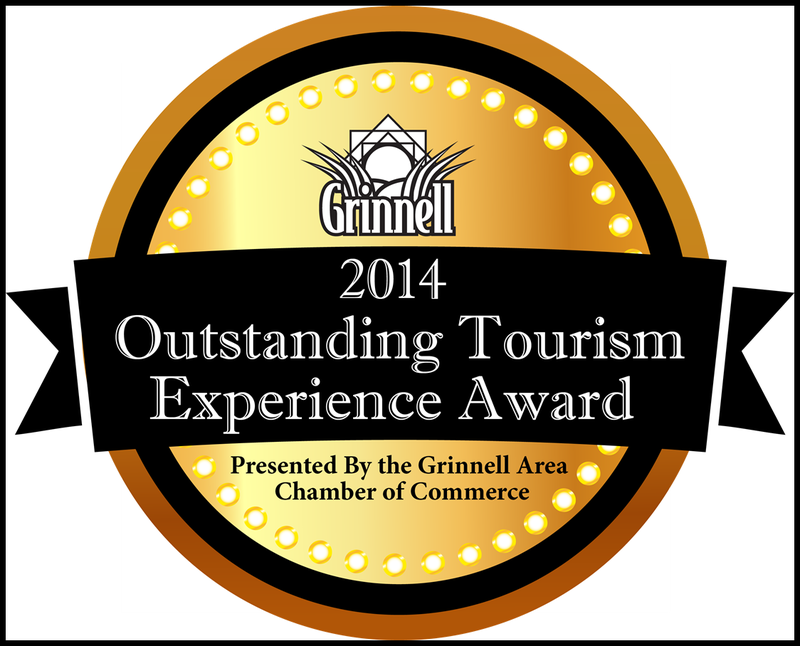 The Grinnell Chamber of Commerce awarded Trans Iowa with the "Outstanding Tourism Experience Award" for 2014. Wally Kilburg's photo album from Trans Iowa V10 is HERE. An interview with Cristina Mihaescu, first ever women finisher on a single speed, from "Over The Top Radio"
Bicycle Times this time from Jeremy Kershaw. This is a version of his story posted originally on his blog. Official T.I.V8 photographer Steve Fuller put up his shots on This Flicker Page. Go there for some great shots of this years event. "Iowa Momentum Magazine" ran a story on Trans Iowa in its March 2012 issue. 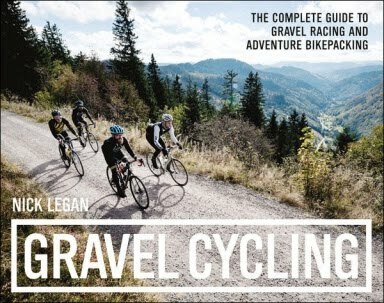 "Bicycle Retailer and Industry News" runs a story on gravel grinding featuring Trans Iowa on its cover for its last issue of 2011. T.I.V5 Clip by George Vargas. An article about running, but related in spirit to Trans Iowa. Recommended for those wondering about this event. Event Dates: Trans Iowa v14 was the last Trans Iowa. There will be no more. 1: The Golden Rule. The sponsors, organizers, and anyone having anything to do with this race are NOT responsible for your safety. 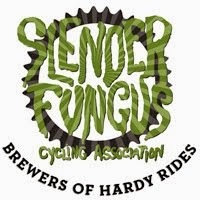 Think of this race as a 300+ mile hard training ride with prizes. We can't say this enough.....YOU ARE RESPONSIBLE FOR YOU! 2: The Trans-Iowa Mountain Bike Race is a non-stop, self-supported, solo competition along the gravel roads of rural Iowa. Competitors must carry with them ALL necessary equipment. 3: Each rider is considered to be on a private excursion and remains solely responsible for any accidents in which he or she may be involved. No responsibility can be accepted for riders becoming lost or stranded. 4: Prearranged outside support is not allowed. This includes, but is not limited to assistance with navigation, delivery of supplies, lighting, or lodging. 5: Competitors will stock up on food and other items at stores and businesses along the route. Viva la gas station burritos and Oatmeal Cream Pies! 6: Competitors may not advance on the route by any means other than bicycling or in the case of a mechanical, by foot. There will be no hitching of rides via Iowa farm animals. Moooooooo. 7: Competitors may, in the case of emergency, mechanical or other unforeseeable problems, be assisted by motorized transport. By accepting motorized transport you will automatically relinquish your standing in the race. 8: The primary race route must be followed at all times. No short cuts or alternate routes are permitted. If you do this, you are a retard and will be forced to help local farmers scoop poop! 9: Bike choice is up to you! We are allowing mnt bikes, cyclocross bikes, 29"ers, and road bikes if you really want to be stupid. Just be aware that some research is going to have to go into your final bike choice. The gravel roads of Iowa can get pretty harsh in northern part of the state. I suggest atleast a 1.95, but then again, it's up to you how much you want to hurt. We'll leave it at that. 10: All singlespeed/fixie category racers must start and finish on the same gear. So, that means don't stick 10 assorted freewheels/track cogs in your bag. You CAN run a flip-flop hub, but both gears (freewheel & cog) must have the same number of teeth. 11: You are completely on your own. Use your head. Look and yield for traffic. There will be no course marshalls to hold up traffic. Don't be a dumbass! 12: Riders must wear an ANSI or Snell approved helmet, must obey city, county and state laws and Rules of the Road, and conduct themselves in a manner that will not bring discredit to the event. 13: All racers must use and carry with them a flashing red taillight and front light, and a back-up light source, i.e. headlamp. A cell phone is also a good/great idea. 14: Racers will be supplied a course map, a.k.a Cue Sheet. 15: This event will happen regardless of rain, sleet, snow, drought, wind, rabbit infestation, etc. You get the idea. 16: Weather Related Stoppage and Time Cut Off Rule: In case of severe weather during the event, we will do the folowing things so you can act accordingly. Remember: YOU ARE RESPONSIBLE FOR YOURSELF!! If the sky is falling, or you see Dorothy's house go spinning by your head, you should take appropriate actions to protect yourself. We will not be responsible for ill advised heroics in inclement weather. Be smart, or be pig fodder! This is only given out so that you as an event participant will know what our actions will be in regards to keeping tabs on your progress and what will be done with prizing. Weather related cancellation of the event will be enforced at the checkpoints. All participants will be directed as to where and when any prizing will be distributed at checkpoints by our volunteers. If you pull out before a checkpoint, you will need to contact the Event Director to find out if the event is being terminated. Results will not be tabulated if we have to stop the event. If cut off times to a checkpoint are not met by any event participant then the event will be terminated and all will be considered as DNF's. Prizing will be distributed by raffle to the remaining participants in the event at the time of stoppage or when it becomes clear that the cut off times will not be met. Must be present to win. Decisions of the event's directors is final. 17: No GPS Systems allowed for navigation. GPS's are allowed for personal data and recording your ride. 18: Have at least a pit crew of 1 to help you if you have problems. The people and sponsors associated with this race will not come get you or be responsible for you! You get ran over by a tractor, that is your problem. You get attacked by a rabid raccoon, that also is your problem. You get recruited to scoop pig poop, yep you guessed it, that is your problem. 19: A cell phone is highly recommended. Make sure you know how to use it. 20: Racers can help other racers with mechanical support. We are not doing this event to leave someone out in the boonies of Iowa. 21: If you exit the course for food, supplies, or any other reason, You must re-enter in the same spot in which you left. Got it! 22: Drafting is allowed. But please do not show up with 8 of your buds and turn this into a road race. 23: Due to ever evolving "technology" it has to be said now that no electric assist, nor anything other than a 100% human powered, two wheeled vehicle is allowed to be used at Trans Iowa. The intent of these rules is to establish an equal and fair opportunity for all racers. Plus, there may be some Special Prizing given at the discretion of the Event Directors and Sponsors. Look for details in the "Latest News" section on any prizing that may be given out in this manner. Categories: There will be an Open Men, Open Women, Single Speed/Fixed. The following is information for you the racer, and some suggestions for gear to keep in mind for the event. Of course, what you decided to carry is up to you. The items listed in RED are the "must haves" by all racers! 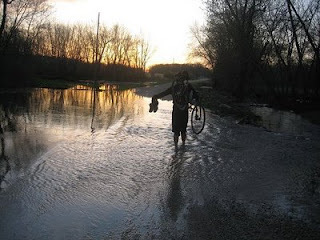 When you’re out riding in Iowa in April, the weather can change rapidly at any time and being prepared for wind and rain or snowy conditions with the gear that you carry will make your ride much more enjoyable. Even on a 60 degree day, it’s possible to get cold very quickly if you have to stop to fix a mechanical problem or become injured so always carry a waterproof/windproof jacket or thermal top and dress in layers appropriate to the conditions. Maintain your bike so that it doesn’t let you down when you’re at the furthest point from civilization. As a minimum I suggest carry the tools listed below and more importantly, know how to use them. If possible cycle in a group so that if someone does hurt himself or herself there are enough people to stay with the injured person while others go for help. Carrying a basic first aid kit and survival blanket is a very good idea. Unless you are VERY familiar with the area where you are cycling, carry a map and compass in clear plastic bag. Again – know how to use them! Keep eating and drinking regularly to keep your energy levels up so that you can complete the race. Be able to recognise the symptoms of dehydration and “hitting the wall” and act accordingly. In most cases the farmers of Iowa are your best bud. They will give you food, and treat you like a son or daughter. But there are a few out there that would rather mow you down with their 1969 Dodge pickup. Farmers own dogs. These dogs chase anything that moves. Be prepared to throw-down with a mutt if needed. Redwing Blackbirds......if you get too close to their nests, they will dive-bomb your head. Just keep riding, they can't hurt you. Good chain lube. Don't under-estimate Iowa's harsh conditions in the Spring. Cash, debit card, credit card. Use these items to get items on the road to complete the route. This may sound like a lot of gear to be lugging around during a race and on many cases you won’t need all of it. However, if something does happen to you or your bike in a remote spot, you’ll be equipped to deal with most situations or at least stay safe and warm until help arrives. "Suffering becomes beautiful when anyone bears great calamities with cheerfulness"
Trans Iowa will not occur again. These used to be the race categories. Trans Iowa is a self-navigated, self-supported, 300-plus mile gravel road event. Held in late April primarily on Iowa gravel roads. Remember: You Are Responsible For Yourself At Trans Iowa! Trans Iowa's director is Guitar Ted . Trans Iowa History, Results, Roster, and More Here. 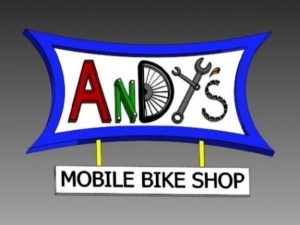 Thank You Velo Press & Nick Legan!